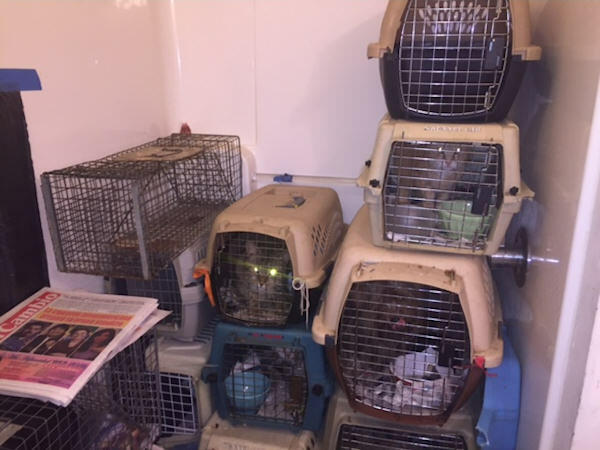 WEST NEW YORK, New Jersey (WABC) -- Two people are in custody and dozens of animals are safe after they were rescued from a New Jersey apartment. 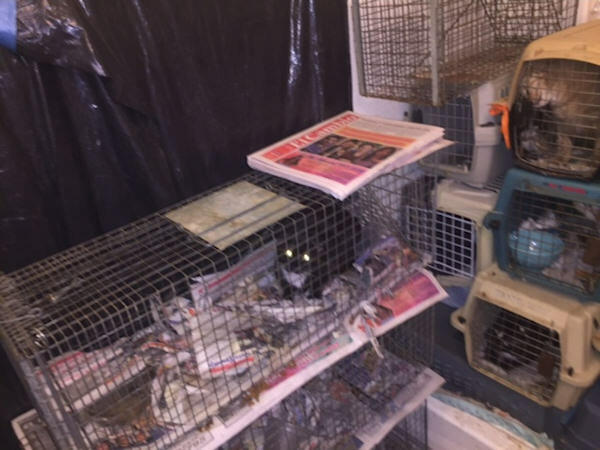 Police in New Jersey found 81 cats and five dogs stuff in crates in a tiny room. It happened on 52 Street in West New York on Friday. AJ Ross reports from West New York. One would not believe what was discovered in the apartment. 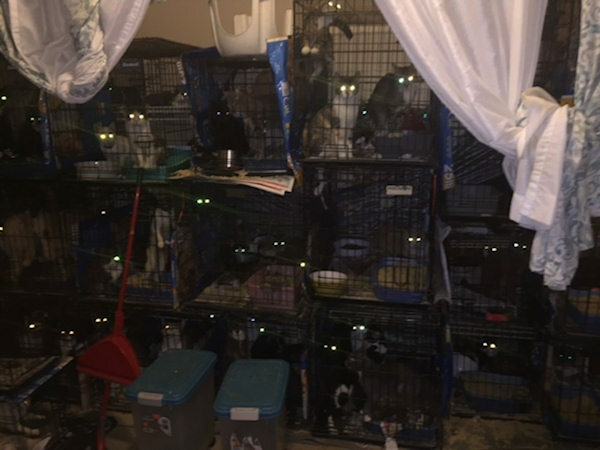 86 cats and dogs crowded on top of each other, confined to a tiny 9 by 9 space. 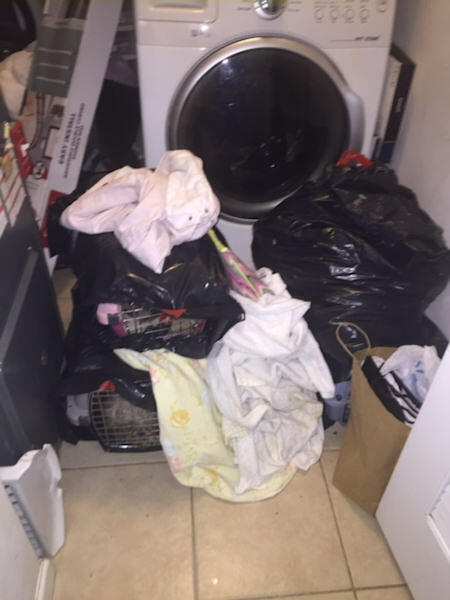 A neighbor tipped police on Friday when the odor next door was overwhelming. 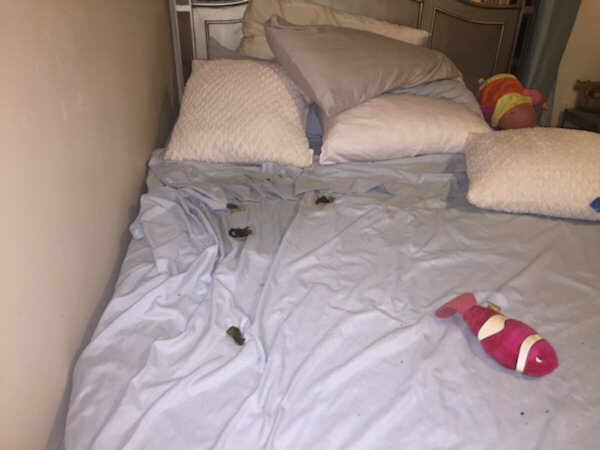 A mother and daughter are being investigated for animal cruelty, and they are searching for the third woman.